These fun and festively decorated Oreos are perfect for congratulatory parties like retirements or big birthday bashes. Give each party guest one of these individually wrapped cookies to take home and enjoy. 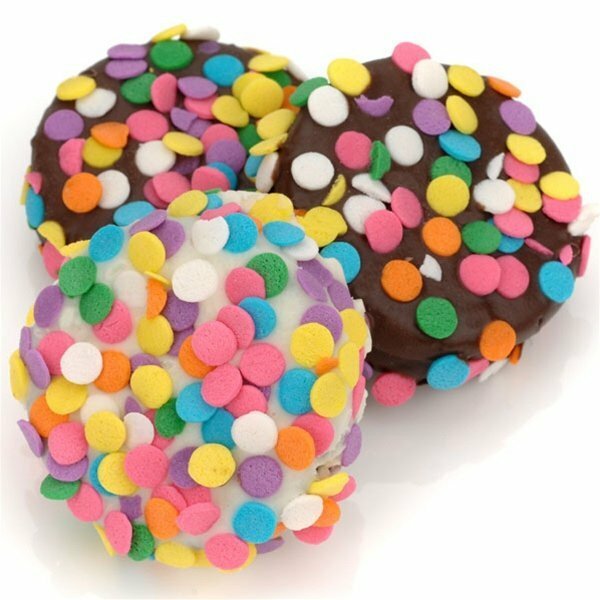 A classic Oreo cookie is covered in decadent white, milk or dark Belgian chocolate and then decorated with a generous sprinkling of colorful confetti to create these little masterpieces. You must order at least 12 cookie favors (price listed is per cookie).